Wishing everyone a memorable and safe Thanksgiving holiday with family and friends. 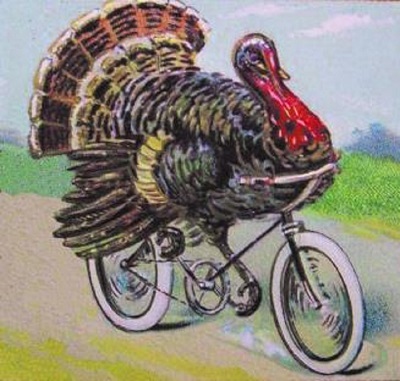 After that big turkey dinner get outside and burn off a few calories before dessert is served. As upper Midwest bike riders are changing their gear to winter activities, including fat biking, ice fishing, skiing, snowshoeing and other cold weather sports, see all the places to explore in the new Minnesota Bike/Hike Guide, after the holidays! 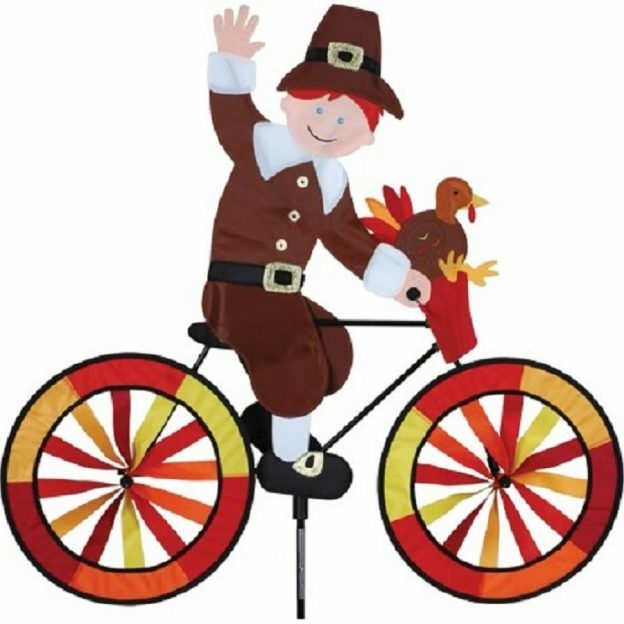 This entry was posted in News, Picture of the Day and tagged #bicycle, #givethanks, #nextadventure, #nextbikeadventure, #thanksgiving #turkeyburner, #turkey, #turkeyday, #TurkeyHoliday, bike, biking, Fall biking, holiday activities, pigrims, turkey dinner on November 23, 2017 by Russ Lowthian.